Soundwave acoustic panels. Furniture with plants. It is proven that a good air and sound quality actually improve our creativity and well-being. 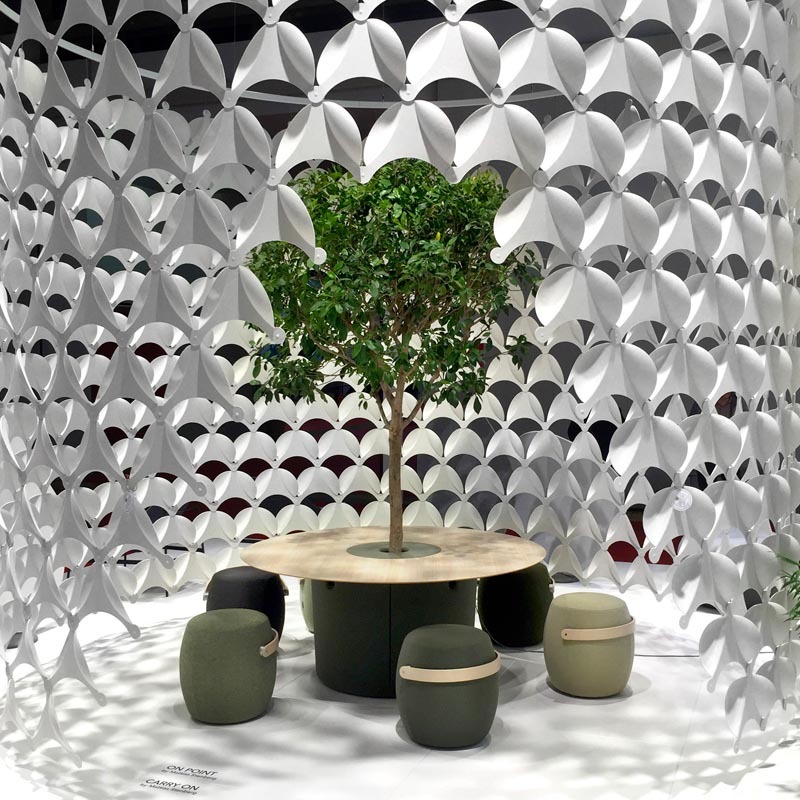 Therefore, we introduced the Air & Sound collection with both sound absorbing products and products with the possibility to insert plants to contribute to a healthy environment . Sound quality influence our creativity. Sound pollution spoils the atmosphere in a room, saps concentration, increases stress levels and adversely affects how we feel. This is a problem that is growing with the increasing tendency towards larger rooms and open-plan solutions. When we first began producing the Soundwave acoustic panels in 2002, we were pioneers in the industry. Today, with greater insight into the importance of sound, we are a world-leading supplier of solutions that absorb, reduce and block disruptive sound. 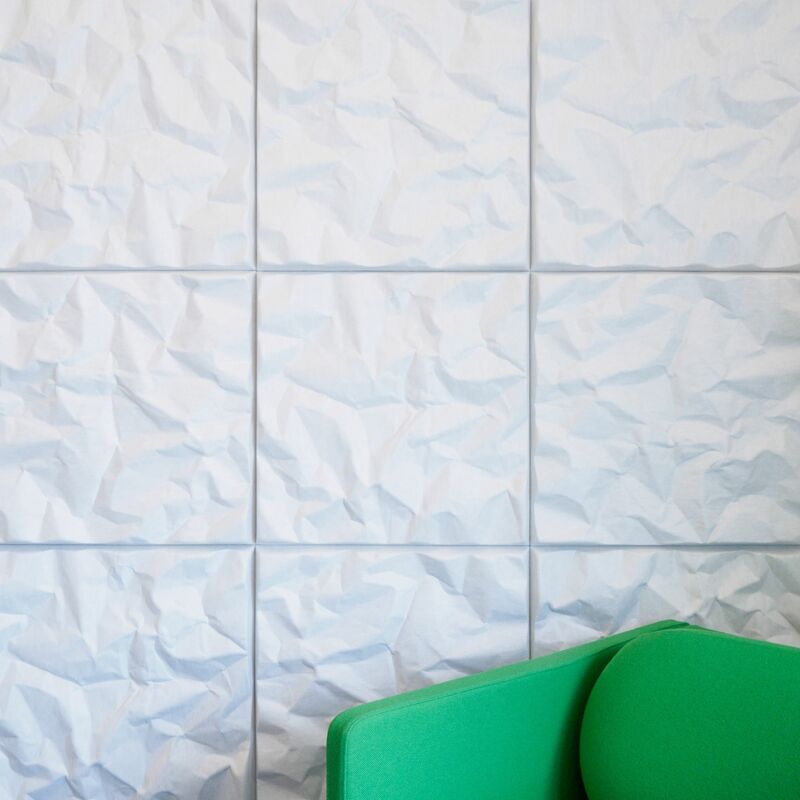 Soundwave® is a range of original designed panels, designed by world leading designers, each with its own story and shape. 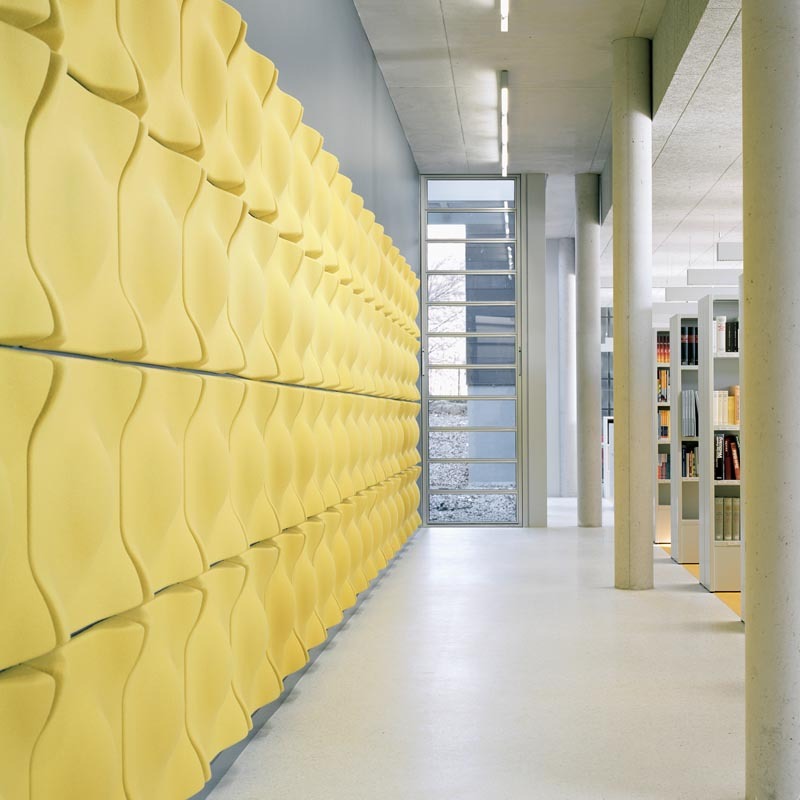 Its more than acoustic, the designed panels become a piece of art placed on the wall. Good air is equally important. Modern buildings are often so well insulated that air is unable to circulate properly, and as a result we become tired and lose concentration. One solution to this is green plants because they increase oxygen levels and absorb carbon dioxide and unhealthy particles. This is why we have come up with products that are specially designed to make it easy to increase the integration of plants into our environement. As a result we feel better, achieve more and are more creative. In the Offecct collection you find several products carrying plants under the name O2Asis.